A group of consultants from Washington is currently in discussions with the Ministry of Health which is seeking advice on the costing of health services. An organised billing and admissions system is being introduced to ensure that all patients visiting the General hospital are accounted for. Director of Hospital Services Mr. Samuel Pierre said, at the moment, bills and admissions systems at the hospital can be termed as direct payment. Mr Pierre said, the Ministry of Health is engaging a number of consultants from Washington to advise Grenada on the costing of services, but part of that process will involve providing information as to the feasibility of implementing a National Health Insurance Scheme. “The importance of a National Health Insurance Scheme cannot be underestimated because what it means is that we may be able to provide and successfully implement the highest quality of health care affordable for all Grenadians”, the Director of hospital services said. Meanwhile the Ministry will launch its integrative primary health care model in the coming days. The project is designed to afford greater access to health care at the community level. Work has been ongoing on the programme for more than a year. The integrative model means that the programme will look at risk factors, environmental conditions, nutrition, health education and disease prevention among others. It will be launched at the Sauteurs Health Centre. Because it is such a fundamental change to the health system delivery, a pilot programme is necessary. “We’re going to pilot it first then monitor what has happened over the year that we’ve piloted the programme and from there use the information to do an island wide implementation”, said Dr Martin. “We also want to let them know the kind of impact we expect after a year or two”, he added. Dr. Martin emphasized the fact that too many people come to the emergency rooms at the General and Princess Alice hospitals with problems that could easily be treated at the District Medical Centres (DMOs). “We can’t allow the ER to become so overburdened by persons who are not supposed to be there” the Public Health specialist said. The implementation of the project will result in an extension of hours at the community health centres. 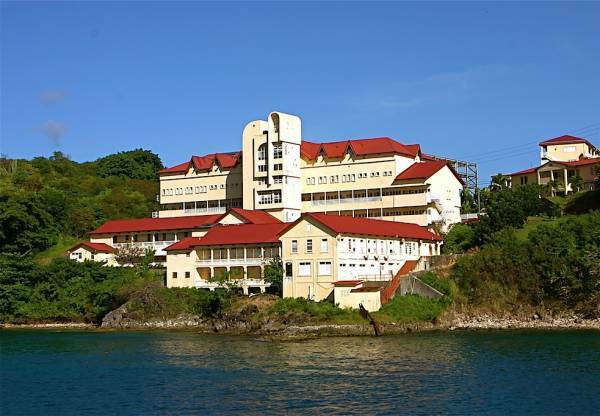 St. George’s and Grand Anse medical centres opening hours will also be extended from 8 am to 8 pm.